Book an appointment to tour our facilities and learn more about us. We invite you to view our beautiful apartment complex that sits in a country setting among our immaculately landscaped grounds. Our property is more than just apartments, we are a community. Come and experience for yourself our one of a kind complex. Woodside Village is uniquely designed to meet the needs of a multi-generational community — from families to singles to seniors. Woodside Village Apartments in Rockwood, MI is a unique family owned neighborhood complete with pool, Tiki bar and grills. Our property also features a carwash, free heat and water. Our soundproofed one and two bedroom apartments offer updated kitchens and baths with very affordable rent which includes heat and water. We are located in the downriver area between Detroit, MI and Toledo, OH. Come home to the Woodside Village apartment complex from your busy day. 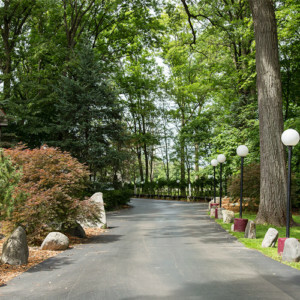 The Woodside community features a park-like setting filled with mature landscaping and shady trees. A secure outdoor pool area, carports and clubhouse are just a few of our extensive features and amenities. Downriver Detroit’s finest address. If you are looking for a great place to live in the Rockwood, Flat Rock, Gibraltar area stop by and check us out. 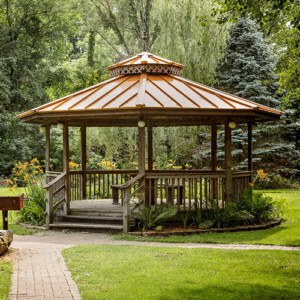 We invite you to experience the lush green trees and flowers that are the backdrop of your home at the Woodside Village Apartments. Woodside Village Apartments has vacancies right now. Contact us to learn more or to schedule an appointment.